Then customize your ceremony as you like. 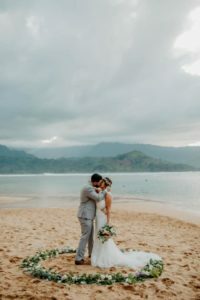 From having a ukulele player, a flower circle in the sand, or an amazing photographer to capture every moment, we have many options to choose from to make your ceremony exactly how you want it to be! Rather than offering various packages we help you arrange exactly what you want for your wedding day.